Part of my daily routine (while heading out to my studio) is watching and listening to the comings and goings of resident and migratory birds. It’s one of those necessary things that feeds my creative spirit, and is surely one of the most uplifting and fun things I can do during the day. 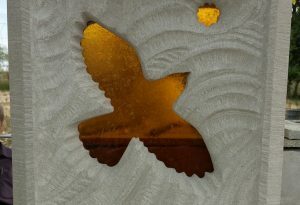 Whether I’m carving stone or sculpting my next bronze, those lively visitors keep me entertained! 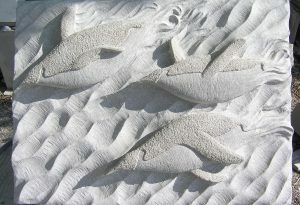 They are the inspiration which gives my sculpture life! 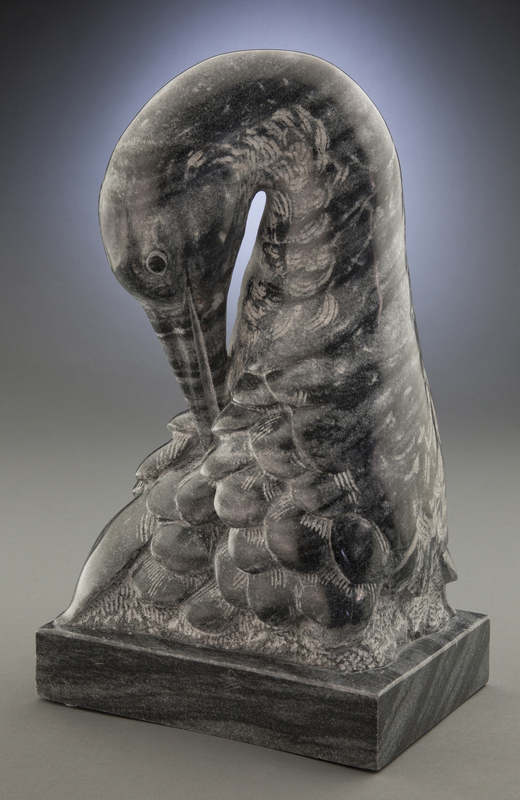 As an artist and sculptor, my early artistic career was spent working in watercolors and intaglio etchings, but my passion is sculpting. 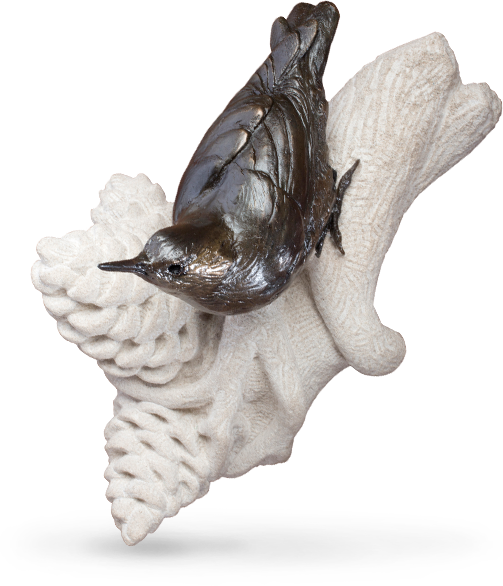 Living in the Middle Rio Grande Valley, close to the Bosque del Apache National Wildlife Refuge, has given me ample material for portraying wildlife and birds in both bronze and limestone. 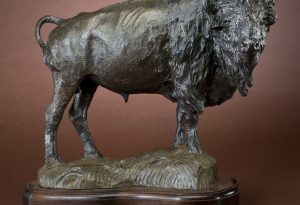 Sharon is a Signature Member of the Society of Animal Artists, and Master Signature member of the American Women Artists. 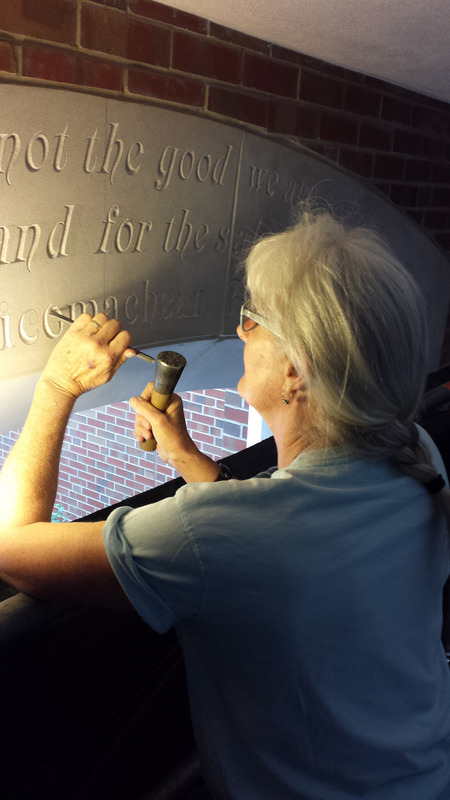 She is currently the Director and lead carver for the Indiana Limestone Symposium, located in Ellettsville, IN. Her award winning work has been selected to show in both the SAA Annual Member Exhibitions, and Birds in Art, and is collected worldwide. 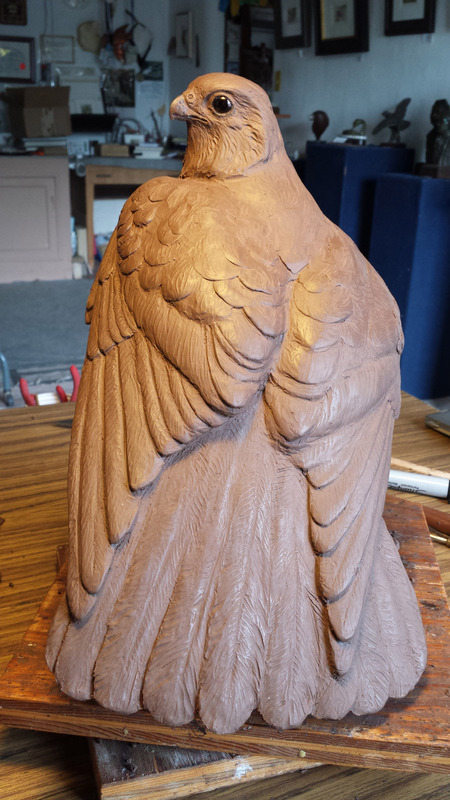 Many of my sculptures are created after I’ve watched an event involving a species" behavior – from simple feather maintenance (preening) to hunting/ making a living. I hope my artwork inspires folks to take a closer look at our natural world, and to care for the beauty which surrounds us every day. "Safe Haven" 2006 Life-sized sandhill cranes on limestone stand as a memorial to the late Bosque del Apache NWR Senior Biologist John Taylor. 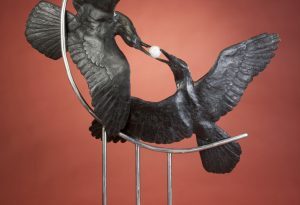 $9,900 for the bronze cranes alone, or $12,000 for bronze and stone together. Bud "N Zona 12" tall edition of 25 $2400. 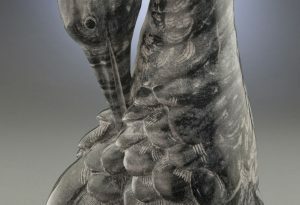 Watching the powerful athleticism and awesome teamwork of these draft horses was my inspiration for this sculpture. 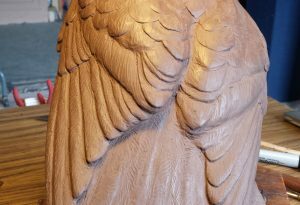 I’m looking forward to carving them in stone! 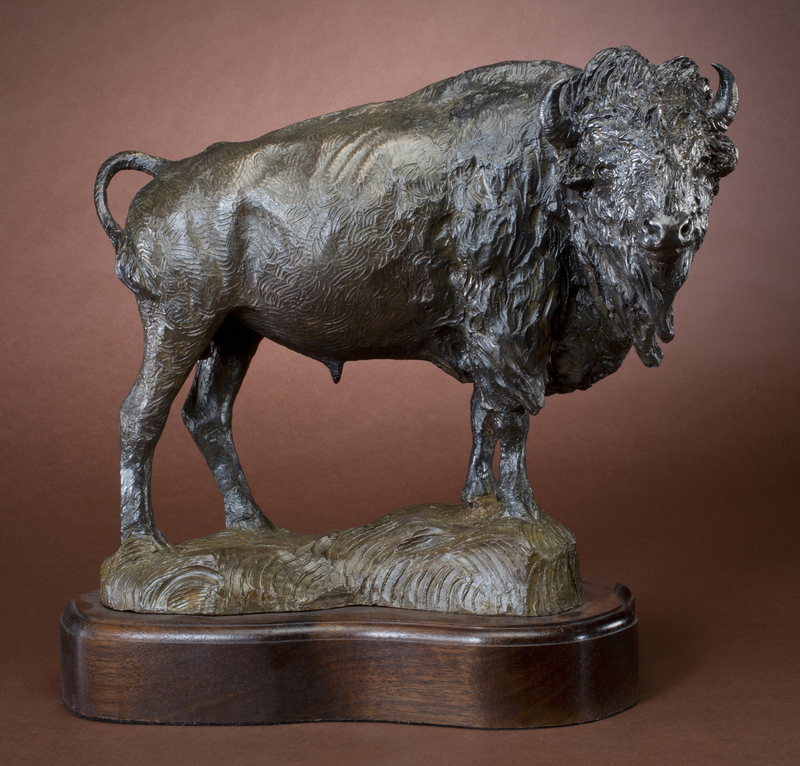 "Curiosity" 2008 won the Mason Family Foundation Award, LSU"s Animals in Art, and Award of Merit. 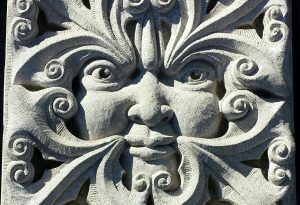 Classic motifs, reliefs and lettering for your home and garden. 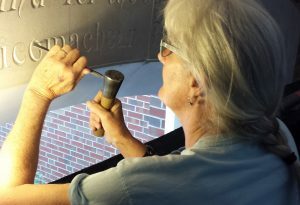 Choose your favorite inscription, address, or name to be carved in stone. When Penguins Fly 18" x 24" x 4" $1700. The title explains watching penguins "flying" through the ocean while hunting. 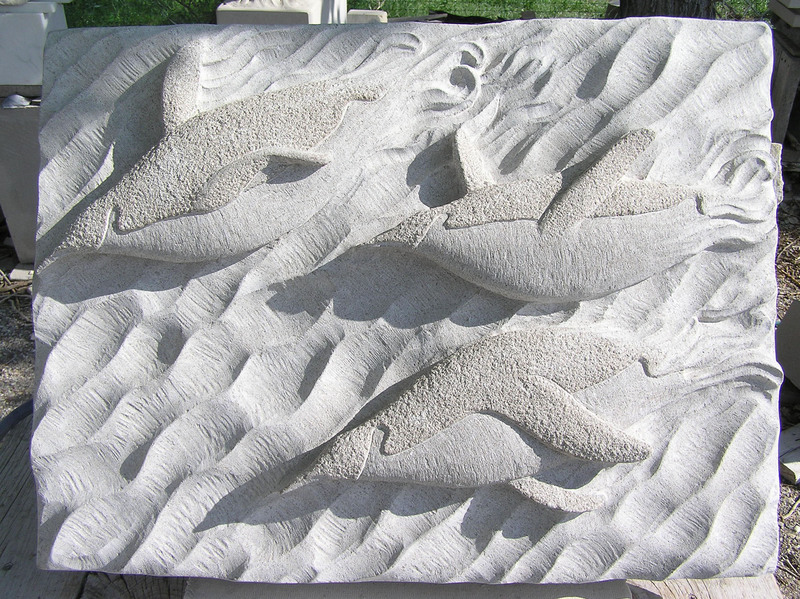 Hand carved limestone. 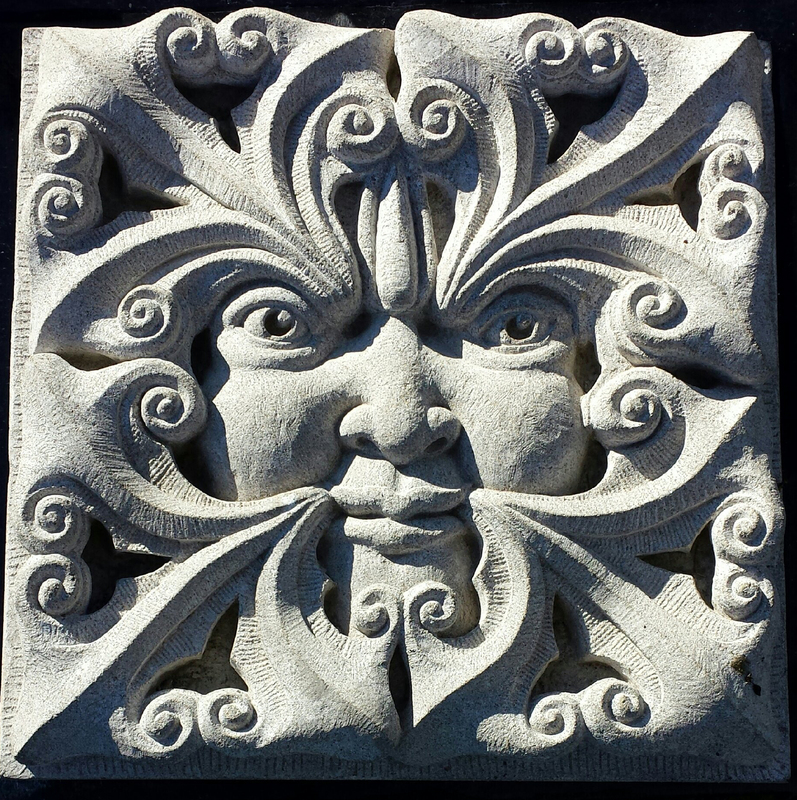 Green Man 12"x 12" x 4" hand carved limestone. May be hung on a wall. $995. 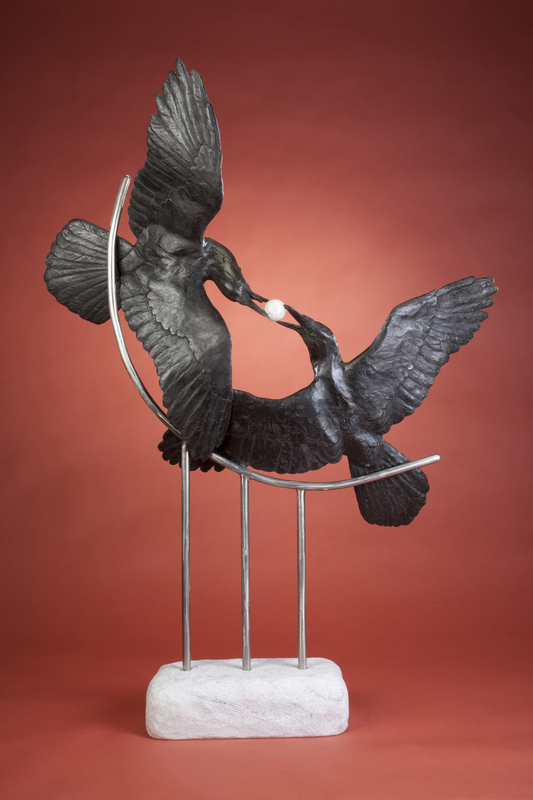 Swallows 72" x 16" x 2.25" $3800. Can be displayed either vertically or horizontally! 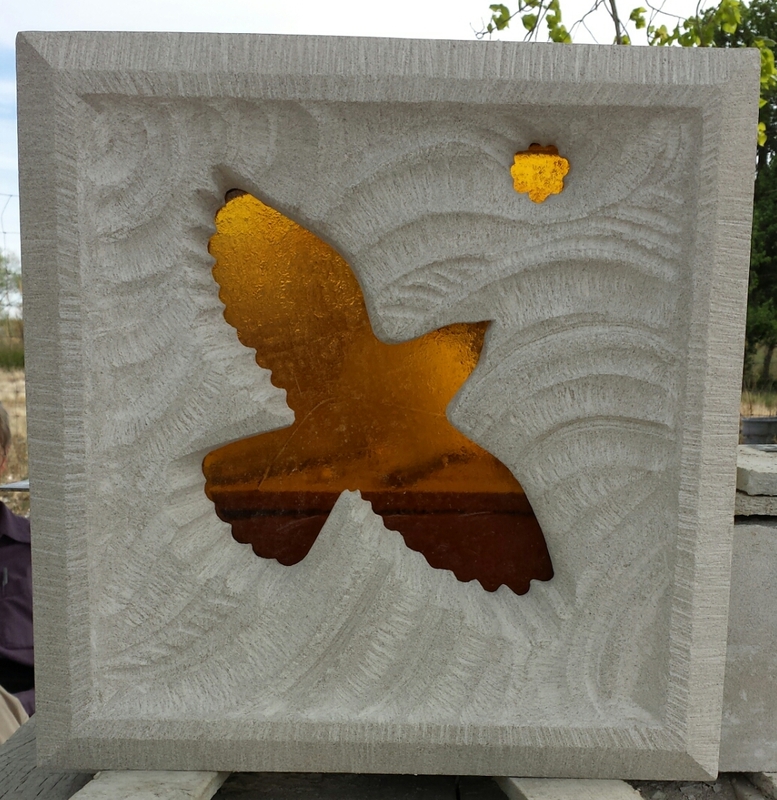 Hand carved limestone, depicting the arrival of the barn swallows, which nest in our back porch every spring.